Tired of the same old model-with-a-bottle campaigns that accompany most perfume marketing, Alexander Vreeland (grandson of legendary fashion editor Diana Vreeland – sample quote: ‘I adore artifice. I always have.’) was determined to try a bit harder when it came to illustrating the perfumes he’s released under his Diana Vreeland Parfums brand. 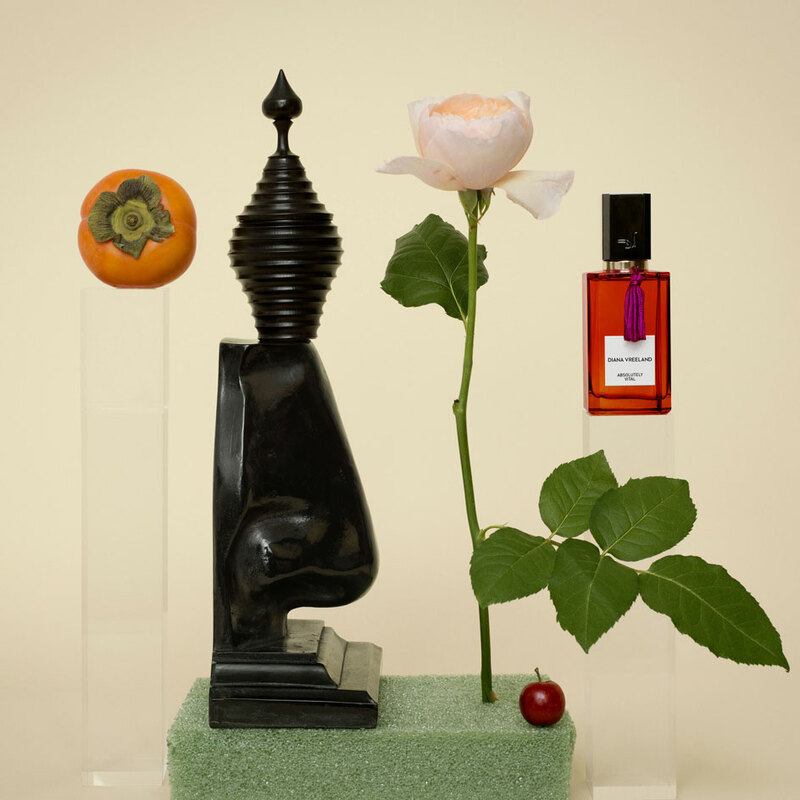 Over dinner with his old friends, Dutch fashion photographers Inez Van Lamsweerde and Vinoodh Matadin, Vreeland came up with the idea of asking them to create images that embody the idea of each scent, using references from his eccentrically distinctive grandmother’s world – images that are shown here for the first time. Fired up by their brief, the duo searched New York City’s antiques shops and flower markets for objects and floral materials that, for them, ‘expressed the feeling and the main idea of the fragrances’. Combining these with items from their own collection, they then spent days in their studio arranging each composition around one of the rainbow-coloured, Fabien Baron-designed bottles in the range. The results are quirky, colourful and slightly unsettling, taking in everything from marble eggs to pickled snakes in homage to what they describe as Diana Vreeland’s ‘unique eye for beauty in all cultures throughout time’. For his part, Alexander Vreeland says, ‘The images have such a dreamy quality and my grandmother was all about dreams.’ And all without a pouting model in sight.